The way we consume food is heavily influenced on the tools and objects we use. Size, color, and the usability of our eating artefacts can influence on creating consumption patterns that might cause over eating. 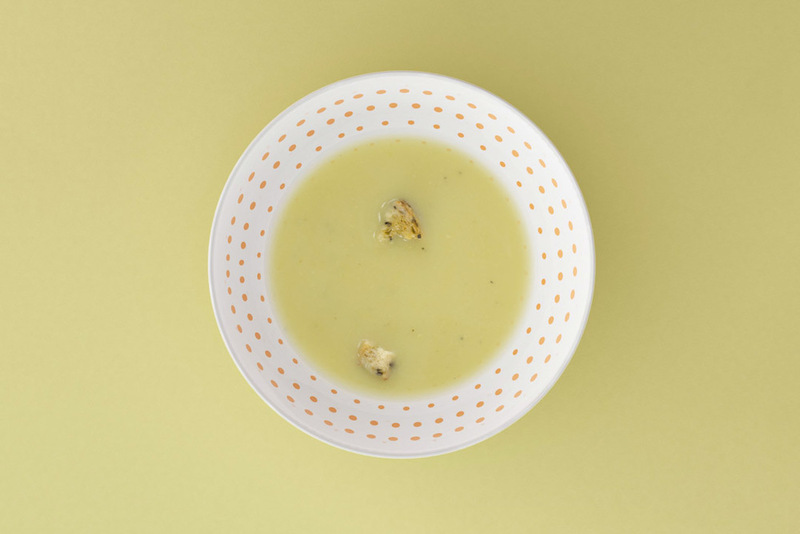 Inspired on the research by various behavioural psychologists, this project is an exploration of how product design might influence on eating patterns, through a collection of hypothetical objects that focuses on a specific eating disorder. The way we consume food is heavily influenced on the tools and objects we use. Size, color, and the usability of our eating artefacts can influence on creating consumption patterns that might cause overeating. That’s why when eating food high with sugar, fat or salt we tend to eat it as fast as we can. Unfortunately, It takes about 20 minutes for the brain to recognise that one is feeling full. The Maze Cover is an hypothetical children’s toy that is inserted on the top of a bowl and helps slowing down the process of eating, fighting the crave of eating sugary, fatty and salty foods. By presenting a simple, yet annoying maze. 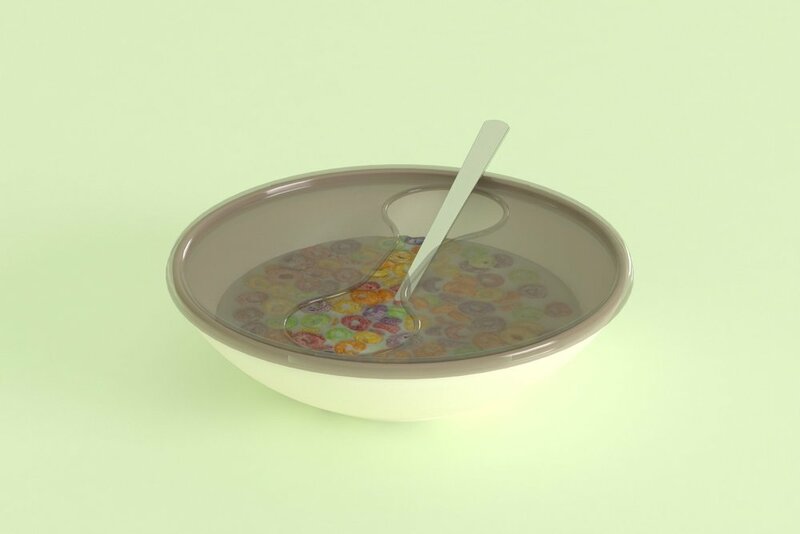 Also, this cover is designed in different translucent colours, in order to make different types of food less desirable, for example, a brown cover for Froot Loops, orPurple for Mac & Cheese. Unbalanced portions of food are one of the key factors for decrease health and gain weight. One of the reasons is that we have to rely on consumption norms in order to understand how much we should eat, for example, finishing up a plate. As the trend in size at restaurants, packages in grocery stores and larger kitchenware in our homes, is to be bigger, we need to create new norms on to realise how much are we eating. 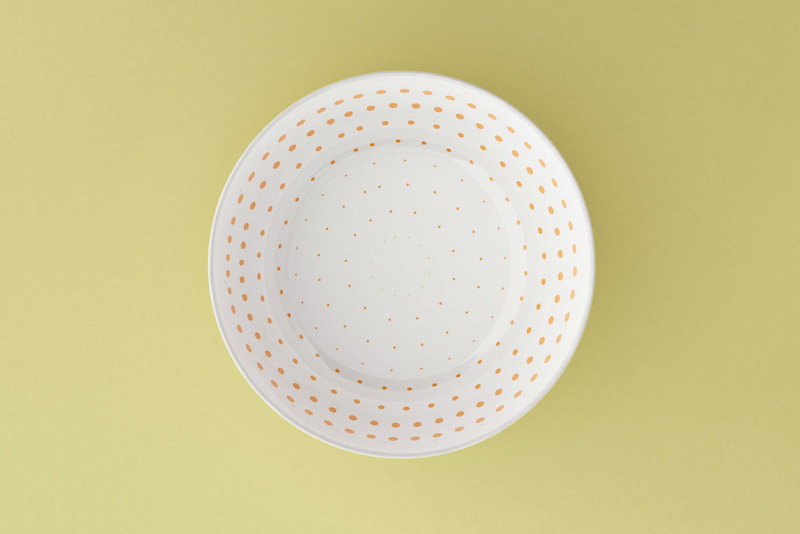 This collection of tableware have a dotted pattern that works as a visual reference so we can see actually the size of our food, and avoid “Portion Distortion”. 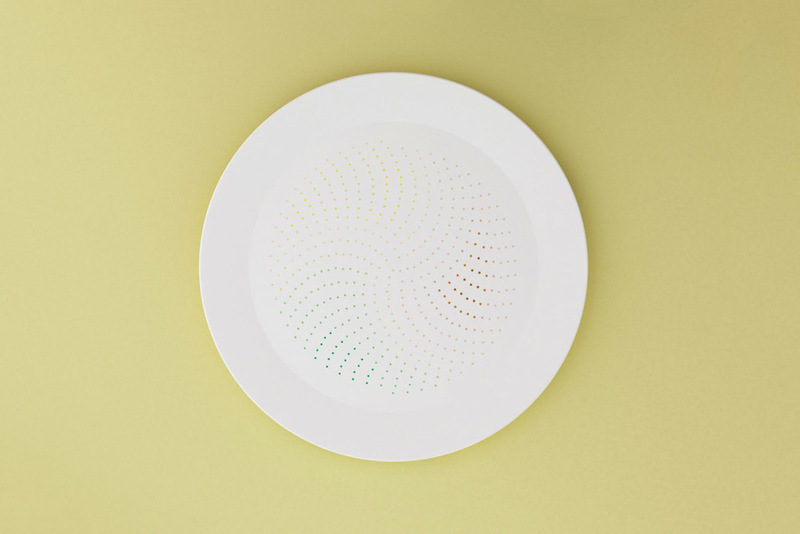 The color cues on each plate tells the quantity of food one should eat, from protein, salad, carbs or candy, while the dotted patterns help as a reference on personalising the size of each portion. Each size of portion size sown on the patterns follows the technique of “Portion by Hand” witch uses ones hand to see how much food one should eat. 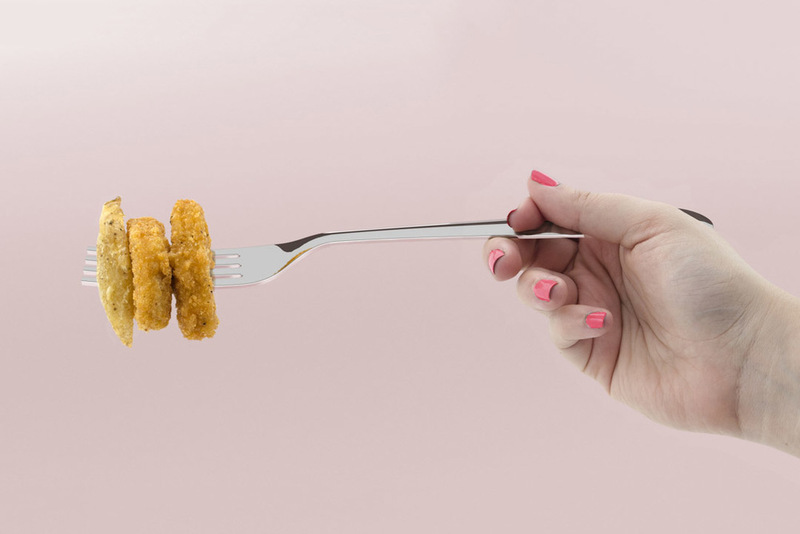 Chapter 3: Forks of Excess. 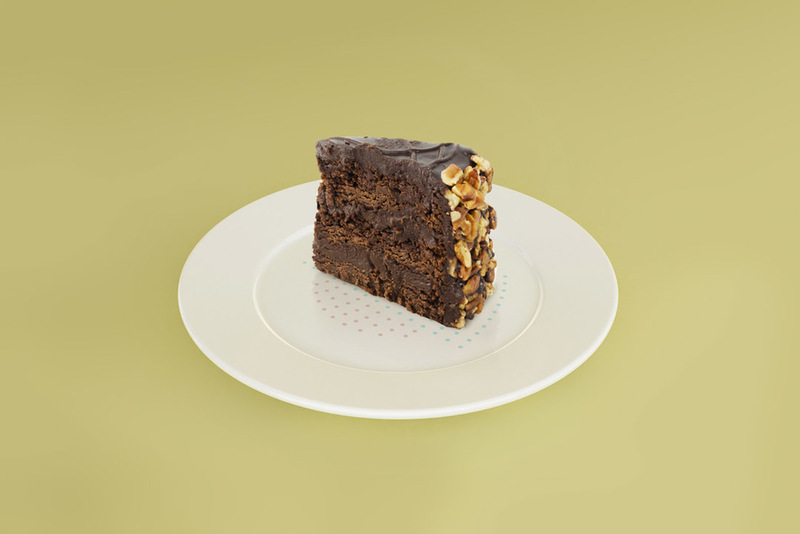 Food researchers believe that it can be considered more pleasant, and perceived to be of higher quality, when tasted with a heavier metallic cutlery as compared to a plastic one. It might be that the quality of the cutlery may then have been transferred to the food, causing it to be perceived as higher quality when eaten from a higher-quality stainless steel fork. In addition to that, it has been demonstrated in restaurants that size of the cutlery can impact on how much people eat. It was reported that individuals who ate with the aid of smaller forks tended to consume more food as compared to those who ate with a larger fork. This might be explained by the term “The Goal of Satisfaction” (Mishra, and Maters). That is, when people go to a restaurant, the cost and effort involved in the dinning experience causes to demand an appropriate benefit, for example, they want a greater number of forkfuls of food in order to satisfy their predetermined satiation goal. 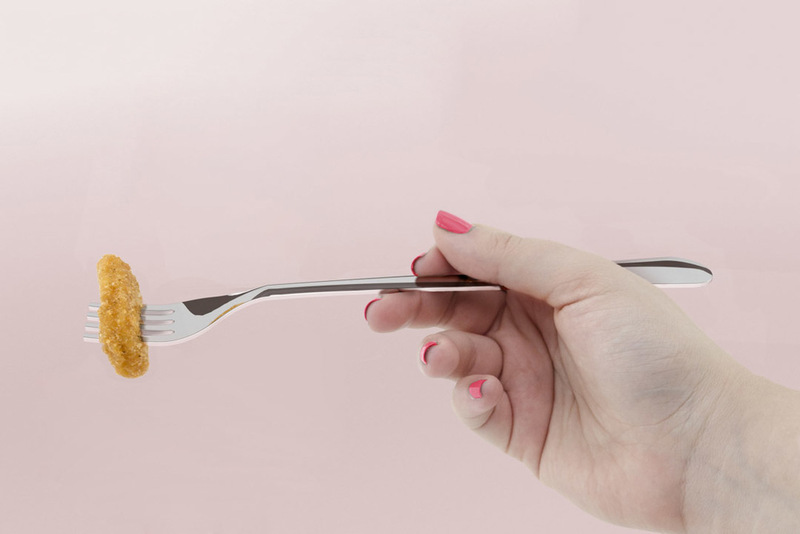 However, under laboratory conditions, where participants do not have to pay for their meals, researches found that people ate less with an smaller fork (Charles Spence1, Vanessa Harrar1 and Betina Piqueras-Fiszman). 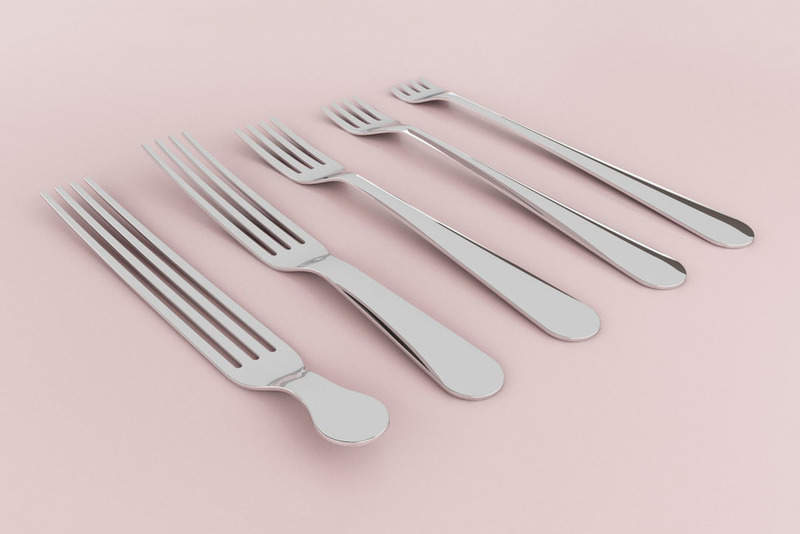 Inspired by this research, a set of cutlery was designed to rather increase or decrease food consumption, that may work on opposite ways for restaurants and at home. This is with the intention of creating a critic on how relative is the way we do consume food. These project was developed as a initiative inside the studio called “Project Friday”, where every collaborator at the studio is encouraged to develop a project by researching on an interesting topic that not necessarily has to have a design direction. The outcome ends up as a a non-comercial design project that might challenge traditional design. Produced by: Studio José de la O. Research and Conceptualization: Dafne Ríos. Images: Dafne Ríos and Manuel Torres.